Click the links to view past campaign images of Tommy Hilfiger: Fall Winter 2016, Spring Summer 2016, Fall Winter 2015, Spring Summer 2015, Fall Winter 2014, Spring Summer 2014, Fall Winter 2013, Spring Summer 2013, Fall Winter 2012, Spring Summer 2012, Fall Winter 2011, Spring Summer 2011, Fall Winter 2010, Spring Summer 2010 and Fall Winter 2009. Click the links to view past campaign images of Tommy Hilfiger: Spring Summer 2016, Fall Winter 2015, Spring Summer 2015, Fall Winter 2014, Spring Summer 2014, Fall Winter 2013, Spring Summer 2013, Fall Winter 2012, Spring Summer 2012, Fall Winter 2011, Spring Summer 2011, Fall Winter 2010, Spring Summer 2010 and Fall Winter 2009. Gigi Hadid really is THE GIRL! Here is the campaign image for Tommy Hilfiger new fragrance, The Girl. 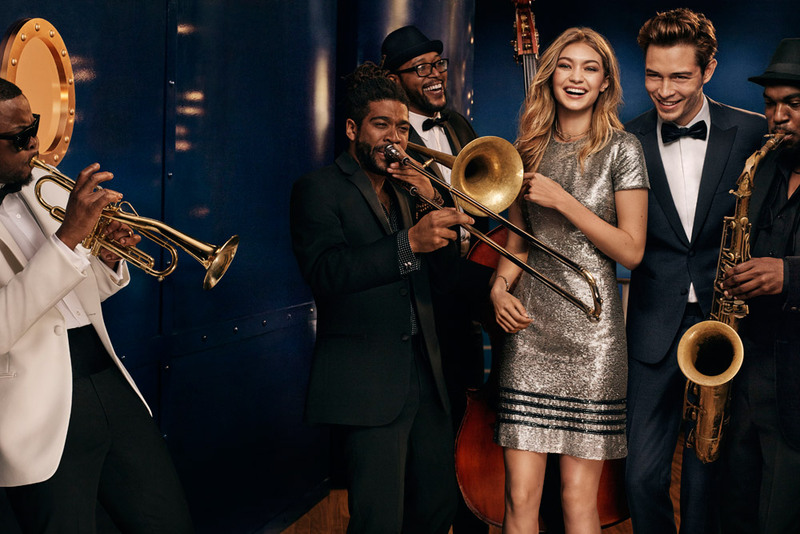 Click the links to view past campaign images of Tommy Hilfiger: Fall Winter 2015, Spring Summer 2015, Fall Winter 2014, Spring Summer 2014, Fall Winter 2013, Spring Summer 2013, Fall Winter 2012, Spring Summer 2012, Fall Winter 2011, Spring Summer 2011, Fall Winter 2010, Spring Summer 2010 and Fall Winter 2009. To mark his 30th anniversary, Tommy Hilfiger turned to all-American football, with a fall runway replete with goal posts, scoreboards and yard lines. Click the links to view past campaign images of Tommy Hilfiger: Spring Summer 2015, Fall Winter 2014, Spring Summer 2014, Fall Winter 2013, Spring Summer 2013, Fall Winter 2012, Spring Summer 2012, Fall Winter 2011, Spring Summer 2011, Fall Winter 2010, Spring Summer 2010 and Fall Winter 2009. Click the links to view past campaign images of Tommy Hilfiger: Fall Winter 2014, Spring Summer 2014, Fall Winter 2013, Spring Summer 2013, Fall Winter 2012, Spring Summer 2012, Fall Winter 2011, Spring Summer 2011, Fall Winter 2010, Spring Summer 2010 and Fall Winter 2009. UPDATED JANUARY 22nd 2014: The campaign models are Julia Hafstrom, Jac Jagaciak, RJ King, Miles McMillan, Viggo Jonasson, Tian Yi, Marlon Teixeira, Cora Emmanuel and Arthur Kulkov. Click the links to view past campaign images of Tommy Hilfiger: Fall Winter 2013, Spring Summer 2013, Fall Winter 2012, Spring Summer 2012, Fall Winter 2011, Spring Summer 2011, Fall Winter 2010, Spring Summer 2010 and Fall Winter 2009.